On Friday July 1st Nine and TEN programming in many regional markets will change channels, following a landmark affiliate deal. In most areas, Nine programming will move from WIN to Southern Cross, while TEN programming switches from Southern Cross to WIN. Seven / Prime programming is unaffected. Breaking News: Nine has signed affiliate deals with WIN Corporation in regional South Australia and Griffith in NSW. A deal has also been reached in Tasmania and in Western Australia. Nine announced the end of its 28 year affiliate arrangements with WIN in late April. The corporate relationship between the two organisations had been frosty in recent years, with Nine seeking an increase in its affiliate fees once current deals expired. But WIN was refusing to budge and took Nine to court over its streaming service 9NOW moving into its markets (a case it lost but is appealing). In the end Nine signed with Southern Cross which argues it can increase its ad rates with Nine content. The move left WIN and TEN to sort a deal, one both is claiming as a victory. TEN shows will now appear on channels 8 / 80s on WIN, and Nine shows will be on channels 5 / 50s on Southern Cross / Nine. It is highly unlikely you will need to re-tune your TV, but there is a small possibility you may need to. If you find WIN or Southern Cross channels have gone missing, try an auto-scan on your TV to get them back. Please refer to the instructions from the manufacturer of your television. You may need to delete all the channels first. 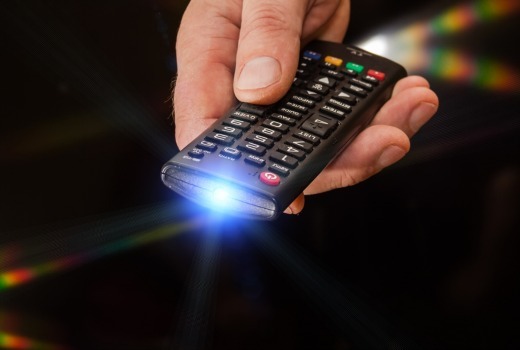 If you have a program being recorded and series link function, you will need to change the record setting for the new channels and you might have to reprogram your set top box. Will WIN still support community and sporting organisations and events? Our commitment to the areas where we broadcast is unchanged. We remain committed to supporting regional areas to assist in creating vibrant communities for our viewers. What time is the WIN local news broadcast? WIN News will be broadcast at 6pm each weeknight on Channel 8 and on WIN’s HD Channel 80. Local news has always been an important and consistent part of WIN’s commitment to regional Australia. What happens to Family Feud when the WIN local news moves to 6pm? Family Feud can be seen at 6pm on Channel 81 and 82 and is broadcast simultaneously on these two channels. Where there isn’t WIN News at 6pm on channel 80, Family Feud will be seen at 6pm. What about the National news, what time is this broadcast? The National news will be broadcast at 5pm seven days a week and will be known as Ten Eyewitness News, First at Five. Will I still be able to watch All Australian News, Fishing Australia and Alive and Cooking? Yes, WIN will still broadcast All Australian News, Fishing Australia and Alive and Cooking. Will programs be broadcast in HD? Yes, if you have a HD TV you will still receive programs in HD on the HD channel numbers. Who can I speak to about WIN Network programs? What is happening in relation to Northern NSW where Nine/Win broadcasts the Nine channels? We have renewed our affiliation agreement with Ten in relation to Northern NSW only and will continue to broadcast Ten in Northern NSW. Is the first step towards a merger between Nine and SCA? No. Our negotiations have been limited to affiliation issues. Yes you will get 9HD from 1 July. Will I still get 9Gem, 9Go! and 9Life? 9Gem will be on channel 52 from July 1. 9GO! will be on channel 53 from July 1. Southern Cross Austereo has ordered and awaiting delivery of the equipment to be able to broadcast 9Life. SCA will be broadcasting 9Life by July 17. Will SCA broadcast local programming? In recent years, SCA has been broadcasting news updates but not bulletins to its markets. Using the strong experience and content of Nine, we will be considerably boosting the local content we broadcast. The ability to provide this news will be built and rolled out over coming months. We will announce our new services when we are in a position to do so. In the meantime, SCA will comply with its local content quota requirements. Will I still get all the NRL games I have been getting? You will get exactly the same NRL games you have been getting. The only difference is that they will now find them on channel 5 (and the 5 series) on your remote control. Can I still get Nine programs streamed on my phone? Yes, 9Now will continue unchanged. Will catch-up still be available? Who can I speak to about Nine programs broadcast in my area? Mildura: Nine has agreed to an affiliate deal with a joint venture operated by WIN Corporation and Prime Media Group. Please contact Prime TV. TDT Tasmania: Updated: A last-minute deal has now been reached for TDT. Southern Cross 7 remains unchanged. Regional WA: Updated: A deal was reached on Saturday night. So if southern cross can broadcast 9HD in on channel 50 in there 9 affiliate regions, why can they not do the same in their 10 affiliate areas and show 10HD on 50. Their office up here in Newcastle say they do not have the equipment so why do they have the equipment to show 9HD and not 10HD they both transmit on MPEG-4. And don’t get me started on Prime7 and their refusal to broadcast 7flix regional Australia always gets screwed these companies have had it too good for too long…. Mildura ended up getting Nine. According to the Oz, the deal was done on Tuesday. However, it isn’t getting Nine Life, which it did have before. I suppose like everywhere else 9Life will resume mid-August when Southern Cross or WIN or Prime or whoever install the new equipment. Well, Tassie gets shafted again. They might of made a last minute deal to get C9 down her, but One is now SD not HD anymore. God knows why since its showing the programs. First is was OneHD sports channel, then an OneHD everything channel now we have it has SD. Its a bloody joke. We have 3 HD channels WinHD (which looks shite half the time), 7mate and SBSHD. SD looks crap to me on a HD tv. Thanks David for all the information. Very glad WIN renewed their affiliation with Nine for the M.I.A.. Disappointed, although not shocked, that as part of the transition WIN has dropped 9life in the region. It makes me wonder if Minister Conroy back in 2010 ever thought that when he introduced regional equalisation the regional networks who have more than one affiliate would only offer the subchannels that existed at the time and then would only focus on their primary affiliate in the future. Once again the viewers are disadvantaged by big business. July one just Turned the TV on this morning southern cross has no local branding in Wollongong its just a relay station for channel nine we get the nine logo on the screen ,there is no more local connection with the local community .southern cross are just relaying the nine signal with nine branding.its no longer our local bad move southern cross. I will not be watching , i will stick with WINTV at least it’s my local station with local news for my city ,it’s relevant to my town .nine is not,it is a Sydney station with no local presence and no local content. Ditto and ditto. Seems WIN is receiving a clean feed without the TEN logo, hence a nice clean WIN watermark. Using their standard WIN font, no circles or anything. That was on one promo for The Spelling Bee, but all of their other material, including HQ art of TEN personalities and shows uses the plain WIN logo. Southern Cross is no longer. Can’t wait to see what “local news” Nine inflict on us, not that I’ll be watching anything on Nine. I’ll just PVR an hour tonight to see how they comply with Southern Cross’s licence. All good in theory, but here in Townsville there is a wall of “TBA” for all times and dates from the 1st July onwards for all WIN and affiliates such as Gem & Go and all “TBA” for Southern Cross Ten (and Eleven and One). Will be interesting to see what happens on the day. I am betting a total re-tune of all TV sets and PVRs will be needed at my place, and then people can kiss goodbye all their future PVR scheduled recordings as well. The Mercury here in Hobart reporting on their website that a deal between Nine and TDT has been finalised so there wont be any dead air come midnight. 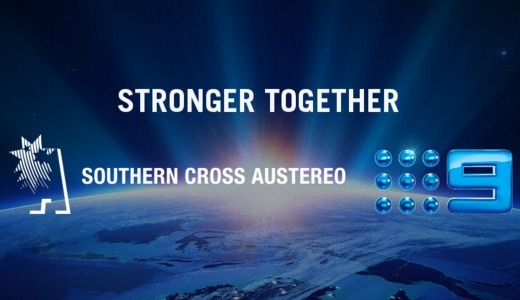 I understand Southern Cross will only carry Nine branding and IDs (not just for the news), so will WIN carry only TEN branding (outside of their local news)? No. 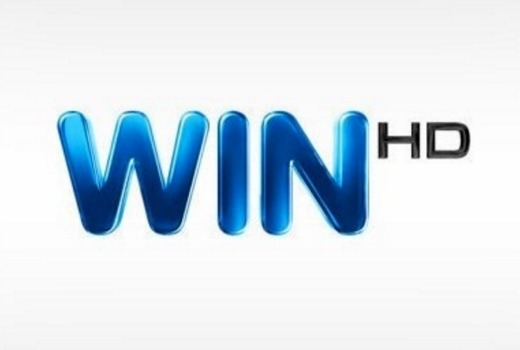 The new WIN logo is the same as the blue TEN circle, but with WIN in white inside. It’s being used in promos for The Spelling Bee. I asked WIN about this image and was advised they are not changing their logo. I can’t advise if the image you’re referring to is temporary or not. It’s a bit confusing! Yes, I was wrong. Corrected above. When? at [email protected]? at 9am? at 12pm? It may differ from market to market, but it appears to be midnight tonight. You don’t have an EPG to check this? It’s midnight, give or take a bit. It’s all there in the EPG (sorry David, this was not directed at your own post). So with 9/SCA agreement, I thought that regional areas might have the same programming as the metro areas. Something to be aware of, for those affected who record a show on one channel, they will have to alter their PVR for the next time….i.e. in regional Qld, if you record tonight’s NRL game on channel 8 and want to record tomorrow’s game as well, you have to record that game (Friday) via channel 5. Yes story indicates to reset for recordings. David are you sure 9GEM is HD ? Pretty sure it is SD. Thanks, checked with ACMA and they have advised SD. Good reporting King K – the only people who won’t know why 9 & 10’s content have suddenly switched channels are those who don’t read this blog! Is this quote attributed to same guy who previously denied any discussions between 9 and SCA re affiliation deals six months ago ? “the only people who won’t know why 9 & 10’s content have suddenly switched channels are those who don’t read this blog!”. It’s been heavily promoted by both WIN and SCTEN, featured in WIN News, featured several times, including today, in most regional newspapers (since most are copy & paste from their sister papers), and for anyone who really can’t find what they want, press ‘EPG’. What a mess. Lots of public will confused especially the elderly. Having said that l think WIN joining Ten will create a good marriage. I am part or the so-called elderly as are most of my friends on the Sunshine Coast, and no, we are not confused. We are aware, wise and intelligent people who understand the changes, although the changes that are occurring with WIN and SCA don’t affect us much because as I said, we are wise and intelligent and choose to watch mainly ABC and SBS programming. I am also elderly, wise and intelligent and live on the Sunshine Coast and are also therefore not confused. Incidentally, today’s Courier-Mail has a page devoted to the changes, which is good of them seeing as how their Brisbane readers are not affected. OMG, thank you Sunny. This 72 y/old is so fed up with being referred to as “the oldies propping up Seven” etc. At least we use correct spelling and grammar in our posts (their, there, they’re – for example). Yes, we’re smart enough to get our news and current affairs from ABC and SBS rather than the nightly Aldi puff pieces masquerading as “news” on 7 & 9, and the tour/CD/movie promos masquerading as “exclusive one-on-one”s with some singer or movie star and rehashed pieces on 60 Minutes and Sunday Night. Yes, we are intelligent enough to be able to follow what’s been explained in detail so often on the affected channels, in newspapers, and elsewhere, including here. It is not “a mess”. It is not “confusing”. If confused, simply press the button marked EPG. The multi channels are a mess. Why use new channel numbers and leave most of the already set favourites on most people’s TVs/PVRs abandoned? We currently have set 50, 55, 82, 84, 88. From July 1 50 becomes the HD Nine feed and they put neither of the other two channels on 55? 82 gets reused for Eleven but why use a new channel for ONE? I will continue to flick through blank 84 and 88 until I get around to resetting the favourites. Brilliant article DK. Clear, precise, unambiguous. Tells us everything we need to know. Well done.